The leading North American powder metallurgy conference will take place in Las Vegas, Nevada, USA. An official call for papers and posters has been announced for Powdermet2017 International Conference on Powder Metallurgy & Particulate Materials, which takes place from 13–16 June, 2017. 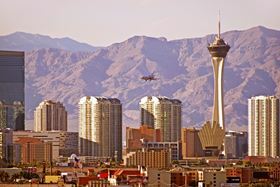 The leading North American powder metallurgy conference will take place in Las Vegas, Nevada, USA, and is seeking a wide variety of topics. Submissions will be accepted until November 4, 2016. Visit the event website for details.